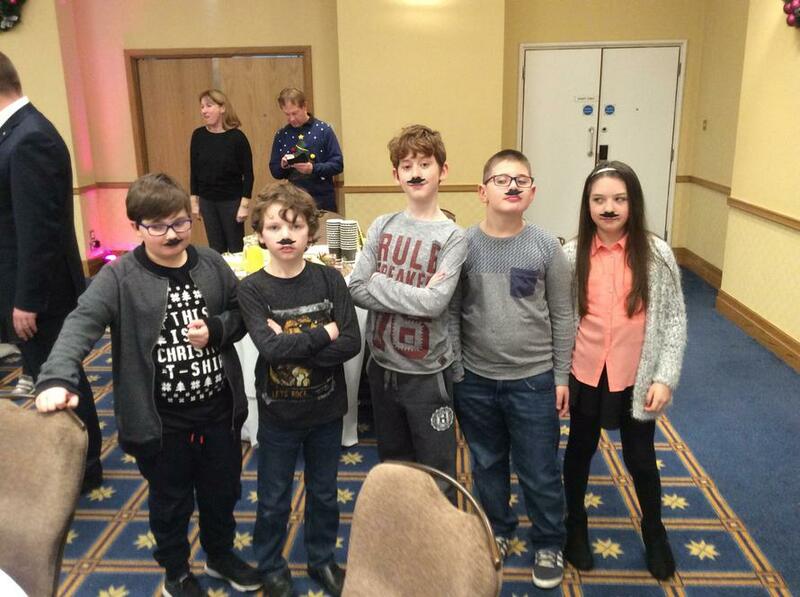 On Friday 9th December, we arrived at Stansted Hilton Hotel in good time, in fact we were the first school to arrive. We were shown to our fabulously festive table and then it was time for our induction!! The Harry Potter magician made us all feel very welcome and after wearing the huge magic hat it was time for the fun to begin. The magic tricks the magician performed were breath taking. The best part was when Mr McKenzie was chosen to have his head chopped off….well not really, the carrots got the chop instead! The Christmas dinner was delicious as Cliffy said “the meal was exquisite Mrs Chambers”. After we polished off the jelly and ice cream it was time for party games, then at 1.30 pm is was time to return to Beccles, we thanked all the Panathlon crew and bid farewell to Harry Potter Land with our gifts from Father Christmas. What a great opportunity we had to be part of the fabulous Christmas celebration.